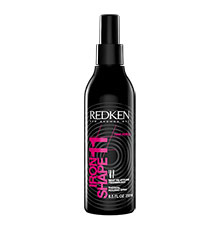 Redken Hot Sets 22 Thermal Setting Mist 150ml, a heat protection spray that holds even the tightest curls in place all day and night. 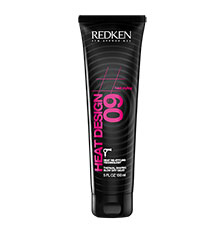 This lightweight formula protects hair upto 232°C and adds firms hold and texture to hair. 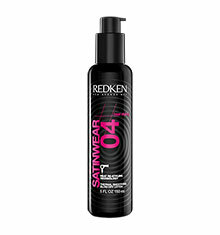 Formulated with Heat Restyling Technology so you can apply once and restyle endlessly. 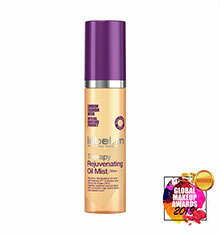 An ultra-fine mist that delivers long-lasting hold whilst remaining flexible. 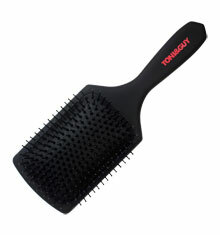 Ideal for use with curling tongs or wands. How to use: Mist onto dry hair by section by section. Curl with a curling wand or tong and pin the curls in place until they've cooled. Once cool, unpin them and dress out curls with fingers. 1. Beeswax particles melt at low heat. 2. Cuticle is sealed. Flexible long-lasting style is locked in. 3. Re-application of heat. Re-melts bonds for infinite re-styling possibilities.